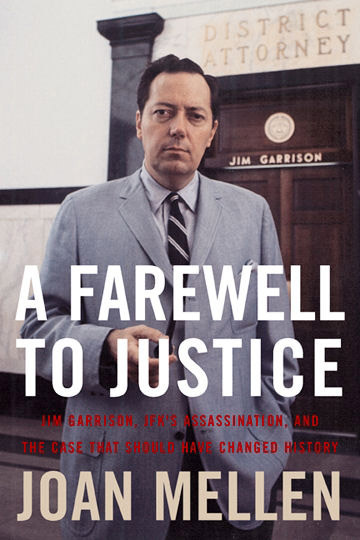 In the media saturation of the fiftieth anniversary of the Kennedy assassination, Jim Garrison has been virtually ignored. His name is rarely mentioned in the profusion of articles or on the television programs cable or network about the assassination. Please allow me to suggest that the reason for Garrison’s being ignored, despite his monumental contribution to investigating who was behind the murder of President Kennedy is Garrison’s certainty that CIA stood behind the plotting of the assassination. In the corporate media, this view remains taboo. My topic today is the political perspective, and values, of CIA, what policies it has pursued in its policy-making function, and what as an institution this Agency has stood for. What I’ve discovered in looking into the history of CIA is a concerted effort by this Agency to substitute itself for the elected government, executive and legislative branches both. If we look closely, we can observe CIA making policy far more blatantly than in the days when President Kennedy attempted to rein them in, and suffered the consequences. 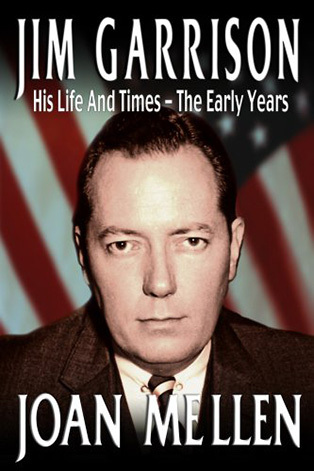 CIA came to the forefront of my attention because of Jim Garrison’s insight that CIA was behind the framing of Lee Harvey Oswald, and by inference behind the assassination of President Kennedy. To understand Jim Garrison’s effort necessitated an exploration of what this Agency has stood for, and why it would feel so threatened by President Kennedy. In an effort to penetrate how power is exercised today in this period of permanent preemptive wars, I turned to learning what footprint CIA was leaving in our history. When, with considerable reluctance, President Truman authorized the creation of a civilian intelligence agency, he seems to have believed that CIA would dedicate itself to collecting intelligence abroad for the security of the United States. Lurking in the weeds all the while with his own particular agenda was OSS veteran Allen Dulles, who set CIA on an entirely different path. With a chequered career as a Sullivan & Cromwell lawyer rich in Nazi clients, and despite his OSS credentials, Dulles would reveal an agenda that began with the re-arming of Germany. Dulles shaped the new intelligence agency that he would not join as an employee for another four years. The new CIA would operate domestically, no matter what its charter said or implied. James Angleton admitted as much to the Church committee: CIA had operated domestically from its earliest days. Dulles was about covert action and what David K. E. Bruce would call “King making,” influencing and controlling the elections of what were called “friendly” countries. For so aggressive an approach, one that was paramilitary and favored murder and assassination, no less than black propaganda, a pretext was required. That of course was the Cold War and the necessity to thwart world communism, the credo propounded by Allen’s brother, Secretary of State, John Foster Dulles. To remind this audience of what I’m certain it knows, even before the ink on the CIA charter was dry, CIA was involved in thwarting the victory of a coalition of socialists and communists in Italy. The Operation was called GLADIO and murder, assassination, black propaganda and sabotage, bribery and general anarchy were the means CIA employed. Armed by what it assumed was the authority to conduct every manner of warfare, CIA grew. Policy-making by the Agency was a given, as President Kennedy discovered to his intense displeasure. For years, CIA preferred to operate in secret. By the new millennium CIA realized it possessed enough power no longer to conceal its political and military activities, but, rather, to flaunt them. CIA people appeared on battlefields. Today, we know more about CIA than we ever did because they conduct operations in the light of day. Meanwhile CIA remains less accountable to elected officials than ever. In today’s geopolitics the Agency stands behind a policy of pre-emptive strikes and actions. Presidents do the Agency’s bidding, as Barack Obama did in his targeting the assassination of American citizen Anwar al-Awlaki and, two weeks later, the drone murder of his sixteen year old son and his cousin. The other constant component of CIA policy is permanent war, a policy that serves the defense contractors whose interests CIA safeguards. CIA has its eye on the world’s oil, and organizes its military operations to ensure that this oil, as well as all manner of other profit-enriching opportunities, remain available to U.S. corporations and interests. Since the time of Allen Dulles, CIA has used the pronoun “us” and “we” ostensibly in reference to the United States, but actually meaning CIA, as if the two entities were one and the same. After the Kennedy assassination, Richard Nixon feared CIA; he knew perfectly well that his being a Republican would do him no good should he interfere with them. President Kennedy, as I wrote in the original version of “A Farewell to Justice,” attempted to tame CIA and decrease its power and its budget. He attempted to reassign functions that had been assumed by CIA, down to the operation of Radio Swan in the Caribbean. All the while, CIA was scheming to consolidate its structure and extend its outreach and capabilities. We know this because we have from the National Archives a 35 page CIA document (with several addenda) entitled “Final Report of Working Group on Organization and Activities.” It dates from April 1962, the middle of the Kennedy presidency, and is signed by John McCone, as Director of Central Intelligence. This document opens a window on CIA thinking, and how its shadow government, as President Truman put it, finally, a year later, was structured and revised. It reveals what plans CIA had for the future, even as President Kennedy was threatening the agency with his full wrath. Among President Kennedy’s plans to thwart CIA was to create a “Director of National Intelligence” to cut down the power of the Director of Central Intelligence, an idea he did not live to see implemented. (George W. Bush implemented it, another example of how CIA teaches us not to distinguish between Democrats and Republicans). Even in President Kennedy’s time, CIA’s power had gone far beyond the attempt of a mere president to scale it down. This restructuring of the Agency was largely about centralization as a means of consolidating power and operating more effectively abroad. They wanted the DDCI and DCI to approve authority for all assignments to positions of Chief or Deputy Chief of offices. They wanted an increase in the size of the Inspector General’s staff, and more frequent inspections of Agency units, the better to retain control within. They wanted annual inspections of major operations and field stations. If this suggests accountability, CIA’s accountability was entirely to its own upper echelons. Another suggestion was that the General Counsel’s staff report directly to the office of the DCI. There is not so much as a nod to what the foreign policy of the United States involves; CIA is operating according to its own policies, which, for example, favor support of the military in Latin American countries where CIA could not be assured of its own control of the economy. Pinochet was preferable to Allende. You can observe this approach in the conversations between Michael J. P. Malone and David Atlee Phillips, his “Chivas Regal friend,” and Malone and Raford Herbert, known within the Agency as “Ray,” as they ponder which Latin American countries are deserving of American largesse in the form of loans, and which are not. 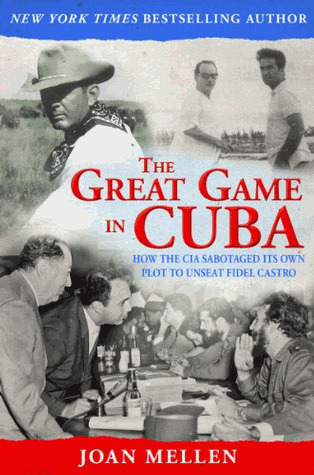 (I describe these conversations in “The Great Game In Cuba.”). The working group recommends the creation of another office within the DD/P called “Paramilitary and Air Support Operations.” This would develop CIA’s capability for covert military and air support operations. Its chief would be located away from the CIA’s headquarters building. The head of this component would be drawn from the military service and be a “Senior Colonel or a Brigadier General with wartime paramilitary experience.” Studying the politics of CIA, it is all too apparent that in the chain of power, the military takes its orders from the Agency, and not the other way around. Already in 1962 we see CIA increasing its military capacities, those we would view full-blown in Afghanistan. They want to increase the “Air Proprietaries Branch” and examine “what may be needed in all parts of the world.” We catch CIA preparing for the permanent war policy it would espouse in the twenty-first century. There are other hints of what was to come. One category of the discussion is labeled “War Plans” and it reads: “Because of the vital importance of war plans to the Agency’s relations to the Joint Chiefs of Staff, we recommend that the War Plans Group receive direct support from the DDCI (Deputy Director of Central Intelligence) even though it should remain organizationally as part of the Central Support Staff of the DD/P. You can see CIA replacing the military with itself, often using the military as cover, sometimes life-time cover, for its officers. A well-known example was General Edward Lansdale. Here CIA plans to facilitate US government support to the police in “friendly nations.” They want to increase the police group in the CI staff. They want the clandestine services to “centralize liaison with the Department of State. They want the DD/P to be informed of all meetings between an area division chief and his counterpart in the State Department. They want the clandestine services to inform State, Defense, the White House and USIA (information agency) “of black propaganda activities which otherwise might be misunderstood.” Note that CIA is running its own show and deciding how many of its operations will be acknowledged. Note that CIA is expanding its oversight over the rest of the government. They decide to expand their activities in Latin America. If an operation is “not worth the Agency’s support,” then the project “should be abolished.” It’s up to CIA. Any intelligence sent to the White House should be evaluated first. (President Kennedy’s name is not mentioned). We can see traces of how CIA is already conducting the foreign policy of the United States, shortly to become apparent in Vietnam. A new Assistant to the DCI for Coordination and Intelligence Community Guidance would represent the DCI in “negotiations and discussions on intelligence matters with appropriate officials of foreign governments.” This officer would also keep watch over “intelligence efforts of the community” to ensure that they “effectively support national policy.” National policy is equated with CIA policy. This new foreign policy officer will require his own group of officers, people “of particularly high caliber and broad experience.” The memo notes “unhappiness” at the Department of State with Agency components like the Office of National Estimates (ONE) and OCI (Office of Current Intelligence The Department of State has complained that “they often seem to influence policy at high levels.” To say the least. CIA decides not to restrict these memoranda “to circulation within the Agency.” CIA does note: “we are concerned about Agency relationships with the White House insofar as handling of intelligence matters is concerned.” Under Barack Obama, such problems would not exist. To flash forward: At a Situation Room meeting, according to an article in the New York Times magazine, Obama announced: “The C.I. A. gets what it needs.” When the United Nations issued a harsh report on the U.S. use of drones in Pakistan, then CIA director Leon Panetta said, famously, in response to the U.N. report, CIA “would not be hung out to dry…while President Obama was in office.” This turned out to be true. In 1962, the working group pondered “the reported inadequacy of research done on International Communism.” Not surprisingly it was “was the Chief, CI staff, who believes it is insufficiently covered.” This was James Angleton. “We have particularly in mind such communications as between the President and Khrushchev,” they write. “We believe that it is important for the DCI to see such messages in order to give proper guidance to the intelligence and operational activities of the Agency.” There is no question but that this Agency is making a direct effort to increase its power. Most of the working group’s suggestions were adopted. An “Executive Director” would run the staff at the DCI’s office. A major factor in the establishment of the new office of “Executive Director” was the debacle at the Bay of Pigs, which led to the firing of Dulles, Bissell and Cabell. Never again would the Director of Central Intelligence be placed in such an exposed position. The first person to occupy this office was Colonel Lawrence White, nickname “Red.” The Executive Director’s office would protect the Director of Central Intelligence. The Latin American efforts had been “considerably expanded,” and we might think of the much later “Plan Colombia” as an example of that. The document admits that the new DD/R – the Deputy Director for Research – “is a cover and this office not necessarily confined to research but should be tasked with operational responsibilities.” Certain operational responsibilities pass from DD/R to DD/P upon completion of research and development. Nothing is as it seems. This “working papers” document reveals that CIA plans to brief the President as seldom as possible. As the Wikileaks cables were to reveal, it wasn’t only CIA that was determined to keep the world open to the efforts of American business interests. The State Department certainly knew the drill. That CIA and State worked in tandem reveals nothing so much as that a coup, a transfer of power to a waiting CIA, took place with the assassination of President Kennedy, as Jim Garrison believed. We need look not only at the Vietnam war, but at the present, where a president endorses every action taken by the Central Intelligence Agency. Another telling document has come to hand – I wasn’t able to include it either in the original version of “A Farewell to Justice” or in the update – and it illuminates CIA “methods” with respect to how the Agency penetrates areas where it is not welcome, such as Jim Garrison’s office at Tulane and Broad in New Orleans. This document, which is four pages long, is dated June 20, 1975. It originates with Charles W. Kane, Director of Security for CIA and is addressed to the CIA’s Inspector General via the Deputy Director for Administration. It had been inspired by inquiries of the Church committee. “Since 1950 the Office of Security has engaged in a program whereby a number of qualified individuals throughout the United States have been employed as independent contractors to conduct background investigations on behalf of the Agency.” This program was “known within the Office of Security as the Confidential Correspondent Program.” Those hired were mostly retired U.S. Government investigators. Sometimes the Confidential Correspondents were issued U.S. government credentials. At other times they had “commercial cover credentials.” Headquarters approval was necessary before permitting the individual to use his own cover. (I’m thinking again of that private detective William Gurvich, who penetrated the Garrison office). In this document, CIA also admits to its use of proprietary investigative firms or private investigative firms as cover for their own employees. You could write an interesting article on CIA’s varied and multifarious uses of cover, a procedure that penetrated into every corner of the social, artistic and political life of the culture. If there is time, I’d like to say a few more words about the politics of CIA in the present and how these politics interact and intersect with the U.S. Constitution and the rule of law as we have known it. CIA has spearheaded a concerted attack on the first and fourth amendments, at the very least. First, CIA destroyed 92 tapes of the torture at Abu Ghraib, to which Barack Obama turned a blind eye. When the U.S. Court of Appeals for the Second Circuit ruled for the ACLU that the remaining photographs be released, Obama subverted this decision. He declared that he would “take every legal and administrative remedy available to me,” to see that the photographs were not released. The court then reversed itself. The NSA surveillance, which resides under CIA approval, has been irrationally defended by Obama, violating the fourth amendment. Obama’s aversion to transparency and his ruthless prosecutions of reporters for “leaks” put him in violation of freedom of the press. If you want to explore the particular political thinking of CIA over time, turn to the records of the Council on Foreign Relations in New York where for years Allen Dulles was a presence. Dulles became Secretary of the Council in 1927 and was known to receive his mail there. Flash forward to 2009 where a senior fellow at the Council on Foreign Relations named Max Boot wrote an op ed piece for the New York Times titled “There’s No Substitute For Troops On The Ground” in support of a troop surge in Afghanistan, the permanent war so favored by the Agency. An even more fruitful arena to discern CIA’s politics was the Dallas Council On World Affairs. It was created in 1951 by Dulles intimate H. Neil Mallon, CEO of Dresser Industries, an Agency-connected company providing cover for CIA officers. “Government,” Mallon said at an early meeting, “should not be the sole responsibility of two men in Washington. It should be the concern of all the people.” This was shorthand for CIA. The Dallas Council had no open CIA connection, yet it functioned as a CIA proprietary. Some of its meetings were held at a redoubt of CIA-connected people, the Republic National Bank building, a place “filled with CIA agents.” Among them was Karl Hoblitzelle, whose trust was managed by the bank on behalf of CIA. Hoblitzelle also figures in my book about Mac Wallace. Speaker after speaker before the Dallas Council advocated a military build-up that would facilitate American investments in oil operations in Middle Eastern countries. Each speaker would begin by urging that Communism be combated, and warn against Soviet expansionism. Many speakers sported intelligence backgrounds, like William J. Donovan, who had headed OSS, former DCI General Walter Bedell Smith, and of course Dulles. The Shah of Iran’s press secretary came to reassure the audience that CIA’s coup against Mohammad Mossadegh was a good thing. Hadn’t Mossadegh seized royalist leaders with the aid of Communists and forced the Shah to leave the country? The press secretary didn’t of course mention CIA’s role in the coup. Paraphrasing George Orwell, Dulles arrived in 1953 shortly after his ascension as Director of Central Intelligence to declare that only a military build-up would ensure peace. Moscow would “negotiate for a peaceful solution” only if they can see that “we are not going to relax our defenses.” Then Dulles flew off to King Ranch, an event discussed in my book about Robert J. Kleberg, Jr. In 1965, “former” CIA analyst William Bundy came to the Dallas Council to sell the Vietnam War, and to dissipate criticism of the U.S. for not honoring the 1954 Geneva accords. Bundy argued that North Vietnam favored “the use of torture as a normal practice,” an irony, as Professor Alfred McCoy has pointed out: it was CIA that honed its torture techniques in Vietnam and was responsible for the deaths of 50,000 Vietnamese. He called the National Liberation Front the “Vietcong” and said they were installed by Hanoi, which was false. CIA’s politics was to sell war. In 1998 Bill Richardson, Clinton’s UN Ambassador, arrived to denounce Saddam Hussein. Richardson warned against “Iraq’s capability of producing weapons of mass destruction,” a fantasy we might have supposed originated with those Republicans, Bush and Cheney. 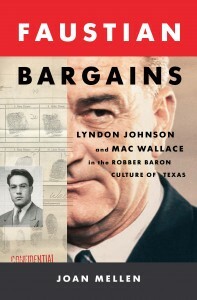 In the 1960’s politically naïve people blamed Lyndon Johnson for the atrocities in Vietnam. Party politics play little part in the exercise of power, as CIA long knew. 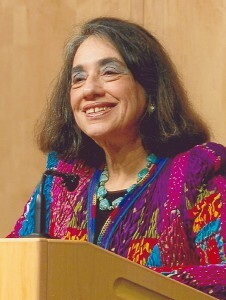 As befitting a shadow government, CIA has its propagandists firmly planted everywhere, as Ron Paul said in one of his speeches – “they’re everywhere.” So we have then Congresswoman Jane Harmon calling Anwar al Awlaki “terrorist number one,” although he had yet to commit a crime and was a U.S. citizen, as was his son. CIA’s propagandists were at work against Oliver Stone’s movie six months before its release, and of course would be out against Jim Garrison for decades – after his death. CIA’s politics are clear: destabilize the governments of countries that are not inclined to do business with U.S. corporations under conditions advantageous to the U.S. This includes destabilizing those who not amendable to the imprecations of the International Monetary Fund and the World Bank. Arm the militias willing to help do the destabilizing. Then kill them when they turn against us. Is Benghazi a surprise? By 2002, CIA had placed agents in all of the FBI’s fifty-six terrorism task forces. George W. Bush attempted to constrain CIA by creating an office of the “Director of National Intelligence,” borrowing an idea that had originated with President Kennedy, but that he did not survive to implement. Both presidents realized that CIA was exercising as much, if not more, power than they were, and was, consequently, a threat to the Republic. When in 2010 Obama sought to appoint another Director of National Intelligence, three people, including Leon Panetta, turned him down. The Director of National Intelligence was on the losing end in its battles with CIA. Meanwhile CIA replied haughtily to questions: CIA “does not comment publicly on its drone program.” Yet we had Hank Crumpton of the counter terrorism force appearing on “Sixty Minutes” to talk about how CIA murdered Taliban leaders who turned down CIA’s bribes. “We don’t want your money,” cattle man Gustavo de los Reyes told him indignantly. At this Dulles practically threw him out of the office. “If you don’t put a stop to this, you’ll end up in a Cuban jail – or a cemetery,” Dulles threatened. “I’d prefer the cemetery to doing nothing,” de los Reyes retorted. 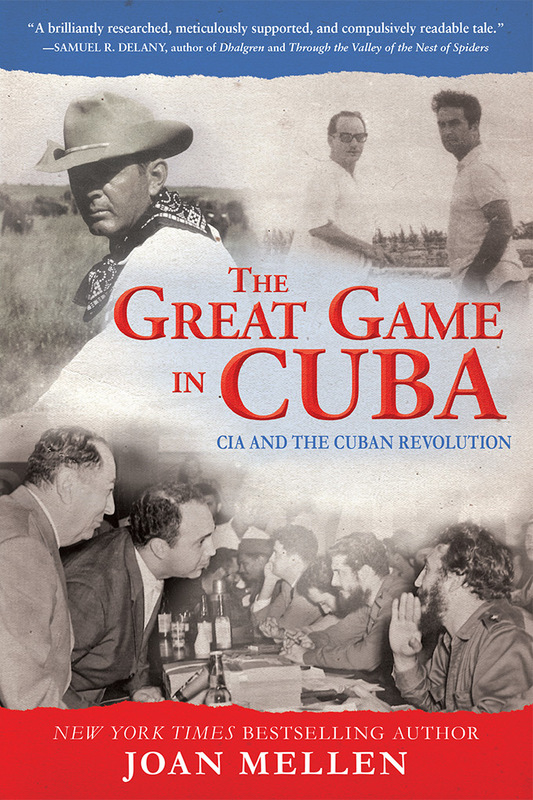 Dulles then saw to it that the plot in which de los Reyes was involved came to the attention of the Cuban government, and he was arrested and sentenced to death. What CIA wanted from those it supported was control by CIA. Nothing less would do. As for morality, we need only turn to Dulles’ recruitment of the Gehlen network, for which Gehlen rounded up various SS types to serve CIA in the Soviet Union. Gehlen was the Nazi’s top intelligence officer, and I doubt that CIA told Truman what it was up to. Gehlen had promised not to employ SS and Gestapo veterans, yet he did just that. Among them was Klaus Barbie. All the intelligence Gehlen presented to the U.S. was slanted to promote military conflict between the U.S. and the Soviet Union. 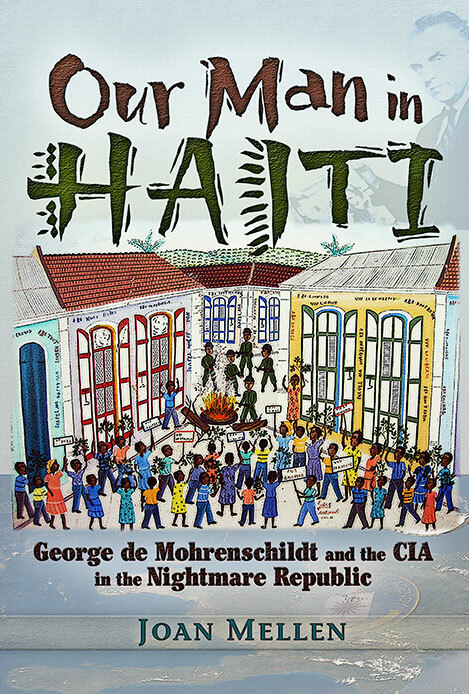 In general, as I discovered in my study of Haiti, as well as my book about Cuba, CIA has betrayed those to whom it has offered its assistance. This includes Cuban exiles and banker Clemard Joseph Charles in Haiti, who hoped to replace Francois Duvalier as President of Haiti. Always the Agency’s own interests – the health and well-being of the Agency as an institution – furthering its own power – came first. I also want to bring to everyone’s attention the words of former Congressman, Ron Paul in a speech about CIA he made in Atlanta in January 2010 before his followers: “Think of the harm they have done since they were established.” Then he added: “We should take them out.” (In an interview, I asked Ron Paul whether he meant this literally. He laughed, and said, well, not literally). This is the view at which President Truman had arrived fifty years earlier. It was already too late then. This entry was posted in Presentations on December 3, 2013 by joanmellen.